Your Facebook business page has the potential to drive a ton of traffic to your website or blog. But, you’re going to have a very difficult time achieving success on Facebook if people are not liking your stories or commenting on them. Wondering how to boost engagement? Then you need to check out this helpful, easy-to-read infographic containing interesting information compiled by Dan Zarrella of HubSpot. What types of posts get a better response? Posts published on Saturdays and Sundays get more likes than those posted during the business week. Content posted at 6:00 p.m. tends to get more shares (EST). Content posted at 8:00 p.m. tends to get more likes (EST). Short posts get more likes and longer posts get more shares. Negative posts bring in more comments than positive ones. Photos get more engagement than News Links (the lowest), video or just text. Thank you for the feedback Mimi! Do you have a Facebook business page that you manage? Very good and interesting news! #1 First sign out of your business account before liking another business. Only liking a business page from a personal page changes the number of likes! #2 Leave a link to your business page on their wall after liking them so they can like you! When people like you, like them back asap! 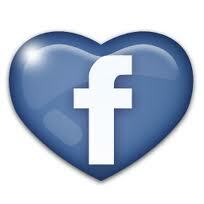 Thank them, put a link to your FB business page on their wall. Let’s give each other some good support and help promote each others business / company. Thanks!!! Please let me know if you’re looking for a article writer for your blog. You have some really good posts and I think I would be a good asset. If you ever want to take some of the load off, I’d really like to write some content for your blog in exchange for a link back to mine. Please blast me an e-mail if interested. Thank you! Thank you for the comment! What type of content are you interested in writing about?